In North Palm Beach, a dentist’s office is sometimes seen as a painful and scary place. Weinberg Dentistry located at 14050 US Highway 1 Juno Beach, Florida 33408 tries to discourage that image with an honest and technologically advanced staff and qualified dentists. However, endodontic therapy, a dental procedure commonly known as a root canal, still carries a strong association with pain that sometimes keeps people from regularly visiting the dentist and tending optimally to their oral health. When a tooth becomes badly infected or decayed, a qualified dentist in North Palm Beach can clean the inside of the tooth by removing the bacteria, soft tissue (called pulp), decayed nerve tissue, and any debris that may be causing the tooth infection from the inside of the tooth. Your qualified dentist will then seal the tooth to prevent further decay and finish by applying a porcelain crown or filling. This is the process and purpose of a root canal. 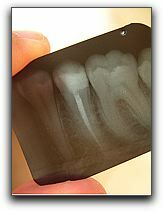 The process can be completed, typically, in just a few visits to your North Palm Beach restorative dentistry practice. In many cases, a root canal procedure is a better option than removing the infected tooth since it allows you to keep your natural tooth. Teeth that are more prone to requiring a root canal procedure in North Palm Beach are cracked or chipped, have received repeated dental procedures, have been damaged by trauma to the face, or are suffering from deep tooth decay. Wearing a mouth guard can help prevent damage sustained to teeth and practicing good oral hygiene habits, such as daily flossing and brushing, coupled with regular dental visits, can reduce the possibility of needing a dental root canal. Though a root canal can be intimidating or scary, educating yourself and talking to your local dentist in the North Palm Beach area can relieve much of your anxiety. Root canals are often not painful, and for many people the pain of the infection experienced beforehand is worse than any pain that might be experienced during the procedure, and the relief is well worth the trouble. If you are in the North Palm Beach area, you can give Weinberg Dentistry a call at (561) 420-0770 to see what we can do for your oral health. Don’t forget to visit us at our online dentistry website at: https://www.customsmiledesigns.com/. A Facial Or Filling In Jupiter?